Welcome to 10601 Boulders Drive, Unit 2! This upper-level condo is an ideal location for a maintenance-free Tahoe lifestyle. Bright and spacious with 3 beds (third bedroom does not have closet), 2 baths, and laundry closet. This end-unit has an abundance of sunshine from early morning to evening off the living room deck overlooking the courtyard. The kitchen features an extended granite counter-top, maple cabinets, and slate flooring. Open layout invites you to stretch out, relax, and cozy up by the gas fireplace. Ample storage with 1-car garage and additional guest parking nearby. 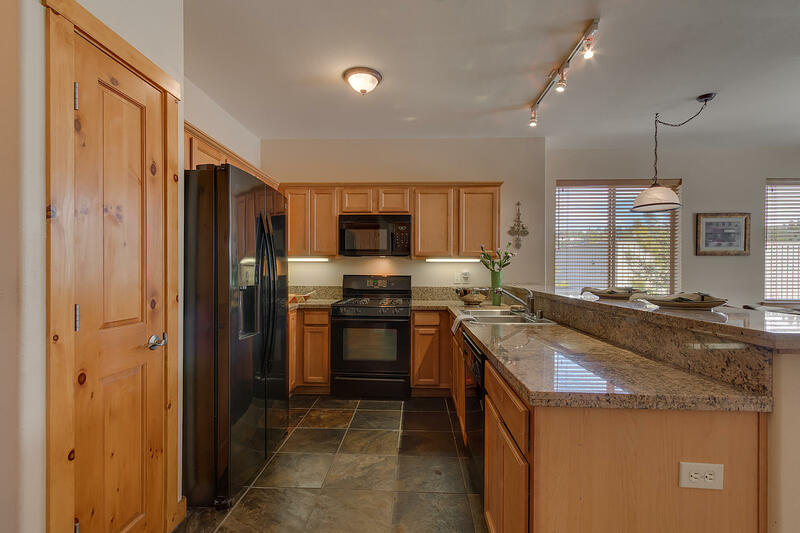 Enjoy a taste of Tahoe living and convenience with HOA pool, hot tub, and workout facility. Perfect for full-time, second home, or vacation rental. Centrally located just minutes to downtown and everything that makes Truckee so wonderful! A 5-minute walk to the local shopping center, short distance from Donner Lake, nearby hiking trails and skiing.